Bill Soldan is a certified personal trainer through the International Sports Sciences Association (ISSA). 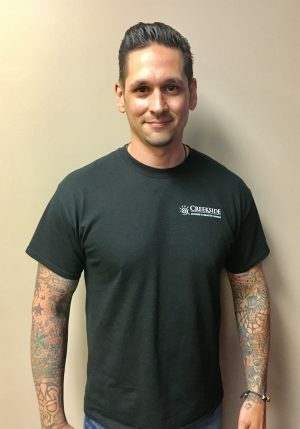 He comes to Creekside with over half a decade of experience working in a recreation and wellness facility, as both a personal trainer and Group Exercise instructor. He holds certifications through the World Kettlebell Club (WKC) and the American Strongman Corporation (ASC), and is CPR/AED certified through the American Red Cross. Additionally, classes he has instructed include Metabolic Acceleration, Bootcamp, Kettlebell, and other variations of High Intensity Interval Training (HIIT).